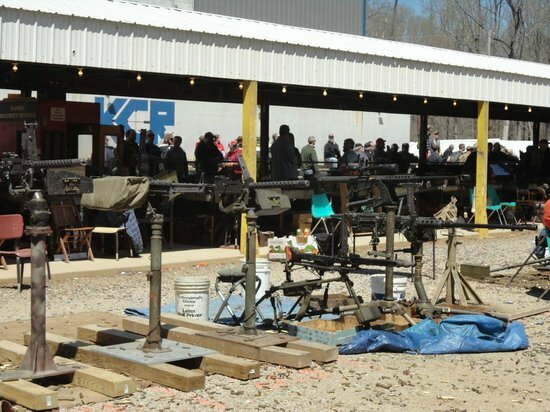 Twice a year, select-fire fans head to the Knob Creek Gun Range in West Point, Kentucky, for the nation’s largest Machine Gun Shoot. A bi-annual event, tThe Machine Gun Shoot is typically held on the second weekend of April and October. The latest Machine Gun Shoot took place October 11-13, 2013. The highlight of every Machine Gun Shoot is the Saturday Night event, where scores of guns send regular and tracer bullets down-range. This year, an estimated 1.25 million rounds were expended during the October Night Shoot. Share the post "Blazing Barrels: 1.25 Million Rounds at Knob Creek Night Shoot"
As you may know already, Bryan Litz of Applied Ballistics LLC has produced an excellent 3-Disc DVD set entitled Putting Rounds on Target. When one views the end result one can forget the hard work and tribulations that go into making such a production. Sometimes Mother Nature doesn’t cooperate when the crew is out at the range. “Filming for ‘Putting Rounds on Target’ proved to be a bit more challenging then we had expected. For this segment in the third disk, we packed up and set up everything over half a dozen times to keep the camera and shooting equipment dry as the sun played Peek-a-boo behind rain clouds. The chilled temperatures, required a lot of hot coffee, but the lack of restrooms made for a long day. In the end, it was totally worth it! Share the post "Litz Battles Rain and Cold To Film ‘Putting Rounds on Target’"